Grab The Newest Cam on the Market and Go Capture Life! 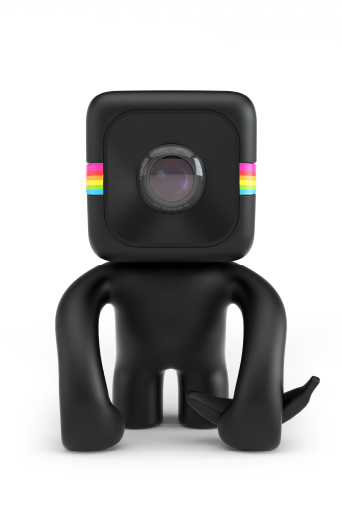 Ridgefield Park, NJ-September 25, 2014 – The eagerly anticipated Polaroid Cube lifestyle action video camera is now shipping and cracking open the high-octane action market for everyday consumers who want to capture videos with friends, family or pets anywhere. In recent months, the camera has piqued everyone’s interest, as the Polaroid Cube is a cute, fun, lighthearted camera that truly embodies the Polaroid DNA. Offered in a variety of eye-catching colors with the iconic Polaroid Color Spectrumemblazoned around it much like a racing stripe, the lightweight, affordably priced Polaroid Cube features a distinctive 35mm square design, harkening back to 35mm film and a range of fun mounts and accessories. Embodying the Polaroid commitment to helping people capture and share life’s most memorable moments, the Polaroid Cubelifestyle action video camera features an iconic one-button design, a rugged, rubberized exterior, and built-in magnet allowing it to attach to bicycle handlebars, helmets, household appliances and more. Renowned design firm Ammunition created the product and packaging design of the Polaroid Cube and its accessories. Led by industrial designer Robert Brunner, Ammunition is the design studio behind award-winning consumer products for brands including Adobe, Beats by Dre, Square, and Williams-Sonoma. Proving that great things do come in small packages, the stylish and trendy lifestyle camera has a wide angle lens with 124° of coverage which can capture high definition video at 1080 or 720p and still images at 6 MP with a simple one-button operation. The camera supports up to 32 gigabytes using a microSD card and allows for up to 90 minutes of video thanks to the high capacity battery. Additionally, the Polaroid Cube is weatherproof and features an integrated microphone and LED-light for usage at night or in the dark. The Polaroid Cube lifestyle action video camera has a unique set of accessories and mounts including a bumper case to wear it around the neck, carabineer clip to snap it onto any belt or backpack, a water-proof housing and suction cup mount for fun water play, and a monkey stand which sits on a desk, table or other flat surface guaranteeing the Polaroid Cube is always ready to go! Polaroid Monkey Mount - The Polaroid Cube will debut with a complete line of accessories and mounts so you can capture life’s action wherever and whenever it happens. The Polaroid Cube lifestyle action video camera is available for $99.99 online at www.polaroidcube.com and www.amazon.comand in select stores starting October 1. For more information, please visit www.polaroidcube.com.